Creative Chili is a Thai-Swedish digital marketing and web design agency based in Chiang Mai, Thailand that focuses on quality and pixel perfect web design. Some of our clients around the world include David's Kitchen (Thailand), My Deva Fashion (France), The Duke's (Thailand), Rose Garden Hotel (Myanmar), Panama Big Game Fishing Club (Panama), Tarka (USA). We look forward to work with professional clients from all over the world. 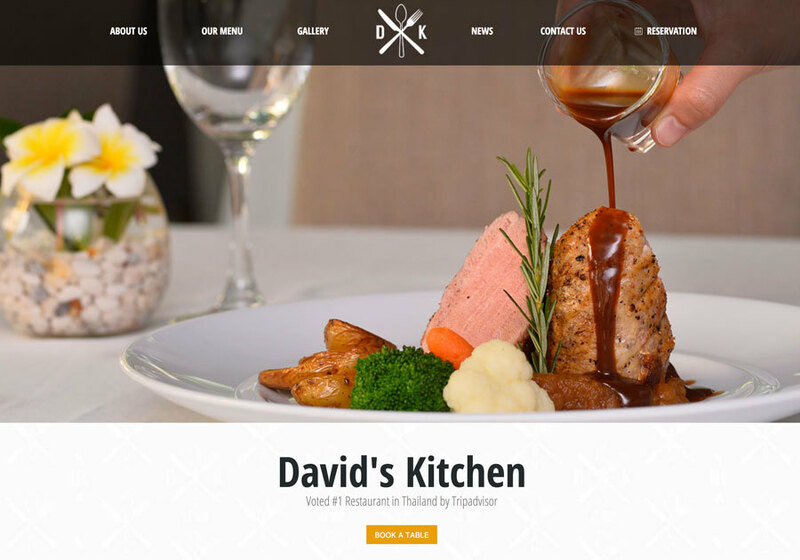 Our web design for David's Kitchen in Chiang Mai, #1 restaurant in Asia according to TripAdvisor.